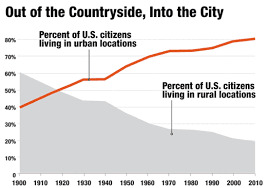 In the year 1900, less than 46 percent of the U.S. population lived in urban areas. Fast-forward to 2016, and that percentage is now over 82 percent, and expected to keep growing as exurbs are added to existing metropolitan boundaries and cities become denser. In addition, as existing land uses and buildings continue to become obsolete, urban infill will certainly be a crucial part of meeting future demand for not just housing, but also offices, services, entertainment and whatever the future is for ‘brick and mortar’ retail outlets. To be sure, infill projects enjoy many advantages, including tapping existing infrastructure and transit options, closer proximity to retail stores and services, and even potential incentives provided by local government. Yet there are also serious challenges for even the most seasoned builder, including increased and unique project costs, longer time frames to receive entitlements, and the need to appeal not just to residents or tenants, but also to the surrounding neighbors. More recently, according to Tom Doyle, co-founder and principal of WDLand in Irvine, California, which has been at the forefront of infill sites since being launched in 1996, another recent challenge is the disconnect on perceived land values between buyer and seller. As Doyle explains, there are three reasons for this over the past two years: Higher direct site improvement costs, steeper development fees and a more restrictive and time-consuming regulatory process, especially for greenfield sites. The result has been lower residual land values than what sellers would have hoped. Moreover, he adds that because those providing equity and debt all prefer core areas, it’s become an extremely competitive market for builders in search of decent volume. That’s also why due diligence and market research is so important for infill sites, especially at the earliest stages. According to Doyle, it’s crucial for builders to do their community outreach and with the cities, noting that some are simply not being diligent enough with the cities and other jurisdictions. Esayian agrees, adding that when builders try to entitle with only residential volume in mind, they often get their hand slapped, and that even adding in some token retail fronting the street can help them obtain approvals. So what’s popular today for infill communities? Doyle finds that small-lot, single-family detached product can often yield the highest residual values, although a lot depends on the allowable densities per city code. Even denser attached homes above 20 to the acre are still attractive, although he adds that podium-style product is difficult unless it’s along the coast or higher-priced areas such as West Los Angeles. From his experience, Esayian suggests that builders take a second look at three-story detached homes selectively, because they often “live far better than two-story designs; while you have that extra staircase, you’ve got much more room to move around, and the livability increases.” Even so, even the best three-story plans perform well in certain urban submarkets, but less so in more suburban ones. In addition, he’s seeing a ‘proliferation of roof decks’ commanding premiums, but don’t put them everywhere, as they’re often more appropriate for more contemporary architecture. As for non-residential infill uses, Doyle points to The Anaheim Packing House, where developer Lab Holdings repurposed a former 42,000-square-foot Sunkist facility dating from 1919 into a wildly popular collection of more than 20 small restaurants under a single roof. 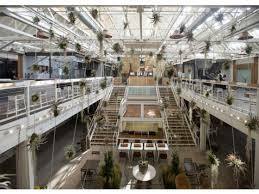 Started by former fashion industry executive Shaheen Sadeghi in 1991, Lab Holdings become famous for its ‘Anti-Mall’ redevelopment of an abandoned factory two years later, and has become a favored partner with Orange County cities in need of creative solutions. Meanwhile, over in nearby Costa Mesa, Esayian was instrumental in finding a joint venture partner for the redevelopment of the former L.A. Times printing press site in Costa Mesa. 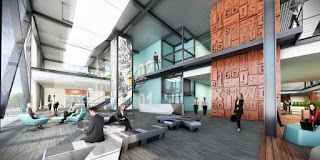 To be known as The Press, about 300,000 square feet of creative office space will be repurposed and developed on a roomy 25-acre site along with amenities like volleyball courts, grills and outdoor seating now popular even with law firms as well as advertising agencies.